Natural gas giant BG Group has stormed through the BMAC rankings to take third place this year, it's best ever showing. Also the most admired company for the quality of its goods and services, here's what this upstream operator's been up to. Created in 1997 when the old British Gas divested Centrica, BG is now a leading player in the lucrative liquefied natural gas industry. 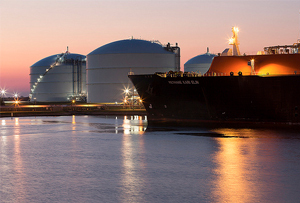 Avoiding the politics of pipelines, BG ships its LNG all over the world in special tankers. It made £4.2bn profit in the first nine months of 2012 and is now investing £10bn in liquefying gas from coal seams in Australia. But the shale gas boom in the US could dent revenues there, and a cut in production forecasts hit the share price last month. With veteran CEO Frank Chapman retiring next year, BG could become a takeover target.